We have easily been able to handle groups as large as 40! 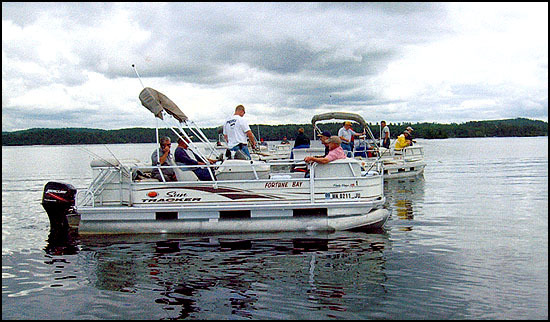 Your group can go with an individual guide in the guide's fishing boat, (2 to 3 clients per boat) or your group can opt for a more relaxed pontoon boat guided trip - 4 to 6 passengers per pontoon boat plus an experienced guide/captain on each boat. All rods and reels, tackle, bait, and life vests are furnished. Clients are welcome to bring any of their own fishing gear also. Please call or e-mail for rates. Rates will vary according to what your individual group size will be and what type of guided trip you select.